NJDC is seeking a mid-level staff attorney with recent frontline juvenile defense experience to join our team. The staff attorney will be responsible for conducting extensive legal research, analysis, and writing; will respond to requests for assistance from juvenile defense attorneys or stakeholders in the field, and may be called upon to provide training. Click here to review the official posting for more information about this opportunity. NJDC is seeking applicants for a 2019-2020 Gault Fellow, a one-year fellowship opportunity that will run concurrently with the first year of the 2019-2021 Gault Fellowship. This position is intended for recent law school graduates and current 3L/4LEs (Class of 2018 or 2019). The Gault Fellows collaborate with NJDC staff to develop legal and policy initiatives around a broad range of juvenile defense issues. The Fellows perform extensive legal research and analysis for NJDC and assist with the provision of training and technical assistance to the juvenile defense community. Click here to review the official positing for more information about this opportunity. To learn more about NJDC’s Gault Fellowship program, please see The Gault Fellowship under Fellowship Opportunities. NJDC is presently seeking a Project Assistant to advance our mission and vision through assisting our program and operations teams in the delivery of support for the national juvenile legal defense community. College Degree or at least 5 years administrative experience is desired. Preference will be given to applications received prior to Tuesday, April 30, 2019. NJDC hosts two internally-funded, two-year Gault Fellows, in honor of the U.S. Supreme Court case In re Gault. The Gault decision extended to children many of the same due process protections afforded to adults accused of crimes, including the right to counsel. The Gault Fellows collaborate with NJDC staff to develop legal and policy initiatives around a broad range of juvenile defense issues. The Fellows perform extensive legal research and analysis for NJDC and assist with the provision of training and technical assistance to the juvenile defense community. The Fellows work closely with juvenile defense attorneys, public defender offices, law schools, legal clinics, and nonprofit law centers to improve access to counsel and the quality of representation for all children. The Fellows write reports, articles, issue briefs, and fact sheets to inform the field, and additionally review the content and citations of all materials developed by NJDC. The Fellows may also assist in long-term research and writing on a variety of high-level reform projects. Each Fellow is expected to proactively initiate projects to improve the provision of justice in the juvenile delinquency system. Applications for the 2019-2021 Gault Fellow are now closed. Applications for the 2020-2022 Gault Fellow will open in Fall 2019. NJDC also considers applications from candidates wishing to develop project opportunities through outside fellowship funding organizations. Typically, NJDC seeks to apply to any or all of these fellowships with a single applicant. Deadlines and timing for applications to each are dictated by the individual funding organizations. Those wishing to pursue one of these fellowships with NJDC as your host organization should submit proposal ideas to NJDC in mid-summer for application deadlines that tend to come in the fall (for funded positions that would start the following fall). To submit a project proposal, please send a letter of interest indicating your experience in juvenile justice and project idea along with a resume and writing sample, attention: Fellowship Application – [Last Name] to recruit@njdc.info. NJDC welcomes applications for law clerk positions during the summer or academic year. Law clerk applicants must be law school students. Law Clerks will assist with a wide range of juvenile defense projects. Responsibilities will include researching and writing on issues related to juvenile justice, with a particular emphasis on juvenile defense. Assignments could include: assisting with the drafting of publications regarding juvenile defense issues; evaluating current and proposed federal or state legislation related to juvenile justice; addressing the special needs of discrete client populations (e.g., girls; LGBTQ-GNC youth; and youth of color); developing training materials for juvenile court professionals; helping to update policy information regarding juvenile defense and state summaries of juvenile defense research, and opportunities to observe juvenile court practice and/or facilities. Applicants must be current law students with excellent legal research, writing, and analytical skills, and an ability to work independently. Applicants should have experience with, or demonstrated interest in juvenile defense, juvenile justice, criminal justice, civil rights, and/or youth rights. Applications will be reviewed on a rolling basis and candidates are encouraged to apply as early as possible. Candidates should send a cover letter, resume, law school transcript (unofficial is acceptable), and short (approx. 250 word) summary and analysis of the landmark juvenile rights case In re Gault, 387 U.S. 1 (1967), with the subject line “Law Clerk Application – [Last Name]” to recruit@njdc.info as a single .pdf file. Please review the official posting for more information about this opportunity. Applications for our Law Clerk program for Spring 2019 and Summer 2019 are now being accepted. NJDC is looking for dynamic applicants for our policy internship. 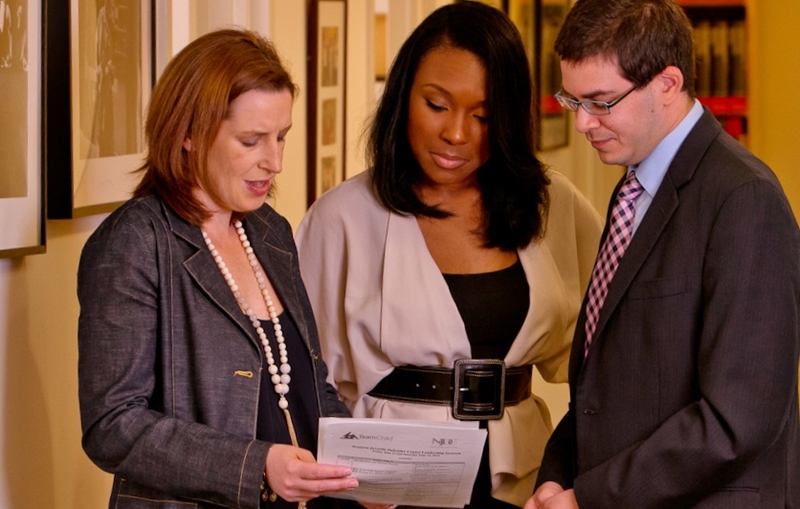 The Policy Intern supports a full range of state and federal, local and national policy projects and campaigns, in addition to grant research and writing to fund and expand NJDC’s policy initiatives. NJDC is launching major policy activities and events as we gear up for the 50th Anniversary of the In re Gault decision that established children’s right to defense counsel in juvenile delinquency court. NJDC is looking for talented individuals to provide administrative support and executive assistance. NJDC is eager to support the development of non-profit and administrative professionals interested in supporting our mission and work plan, by providing an opportunity to receive academic credit or public service hours for part-time office work. This is otherwise a non-paid volunteer position. NJDC also occasionally accepts well-qualified undergraduate students for a fall or spring semester internships. While interns will not be assigned legally substantive work, there are many substantive ways interns can engage in our work and learn about juvenile defense issues. Interns may be assigned a variety of tasks that could include website management, social media campaigns, non-legal research, event support, and administrative assistance. To apply for an internship, please send a cover letter and resume indicating your interest and experience in juvenile justice, along with a writing sample, with the subject line “Intern Application – [Last Name]” to recruit@njdc.info as a single .pdf file.